This original contribution to the field is the first to bring economic sociology theory to the study of federal land exchanges. 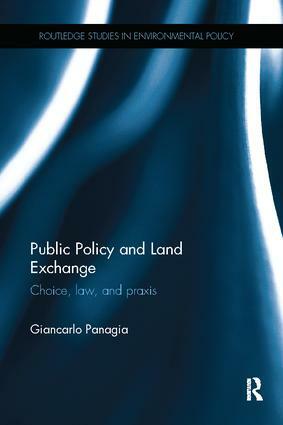 By blending public choice theory with engaging case studies that contextualize the tactics used by land developers, this book uses economic sociology to help challenge the under-valuation of federal lands in political decisions. The empirically-based, scholarly analysis of federal-private land swaps exposes serious institutional dysfunctions, which sometimes amount to outright corruption. By evaluating investigative reports of each federal agency case study, the book illustrates the institutional nature of the actors in land swaps and, in particular, the history of U.S. agencies’ promotion of private interests in land exchanges. Using public choice theory to make sense of the privatization of public lands, the book looks in close detail at the federal policies of the Bureau of Land Management and the U.S. Forest Service land swaps in America. These pertinent case studies illustrate the trends to transfer federal lands notwithstanding their flawed value appraisals or interpretation of public interest; thus, violating both the principles of equality in value and observance of specific public policy. The book should be of interest to students and scholars of public land and natural resource management, as well as political science, public policy and land law.